It’s been nice spending the Christmas period in Austria. When we arrived the countryside was covered in snow and it was nice getting out amongst it. Some days we’d be fogged in as the fog would build up on the lake and then slowly push its way up the hill. Just before Christmas a day of sunshine followed by a day of sleet and rain got rid of all the snow. By Christmas Day the snow was all gone. At night we’d have snow but when the sun came out it quickly disappeared. So much for our dream of a white Christmas. 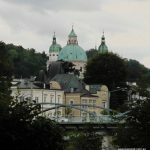 Over the period we were able to visit a few of the local towns which are famous for Christmas markets and New Year (Sylvester) markets. 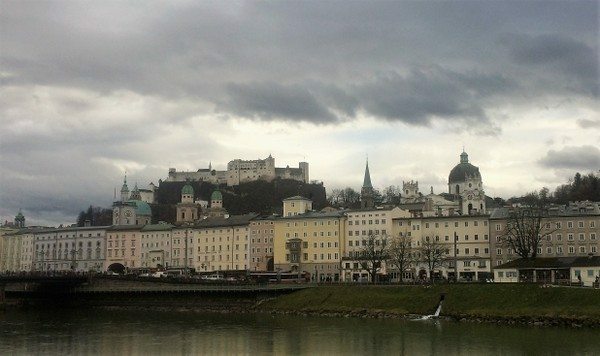 During the Christmas period the beautiful city of Salzburg takes on a real festive atmosphere. 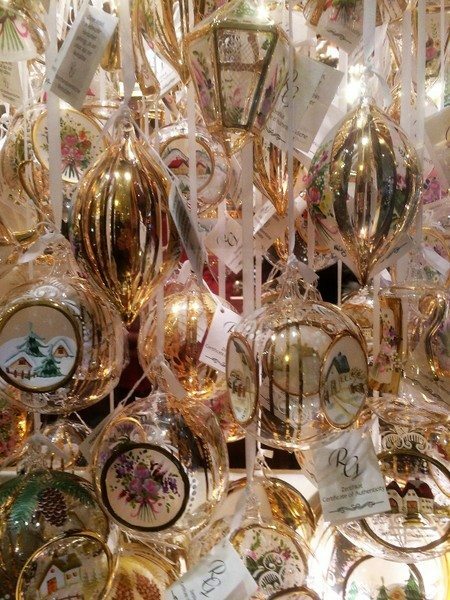 The shops of old city decorate their windows for the season and the narrow streets are hung with decorations. 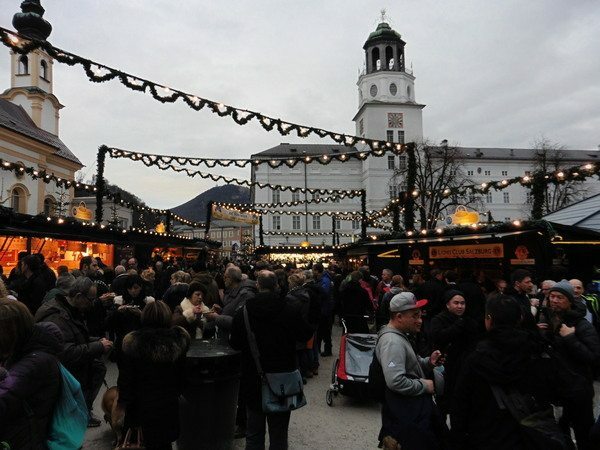 The plaza areas which surround the Salzburg Cathedral are transformed with a lovely Christmas Market. Christmas music drifts from the speakers, and the air is filled with the aroma of cooked meat, apples and spices. 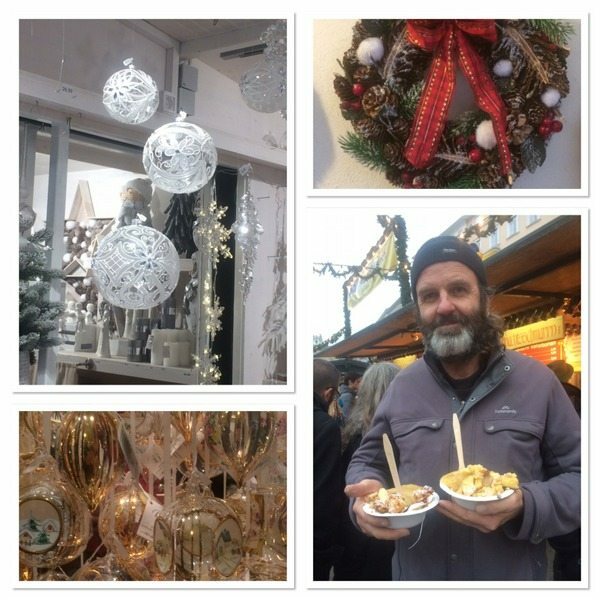 All sorts of Christmas gifts, food and Glühwein are on sale from the stalls which fill the Domplatz, Residenzplatz and Kapitalplatz. . There are no shortage of stalls selling Austrian food. Hamburgers and fries are nowhere to be seen. 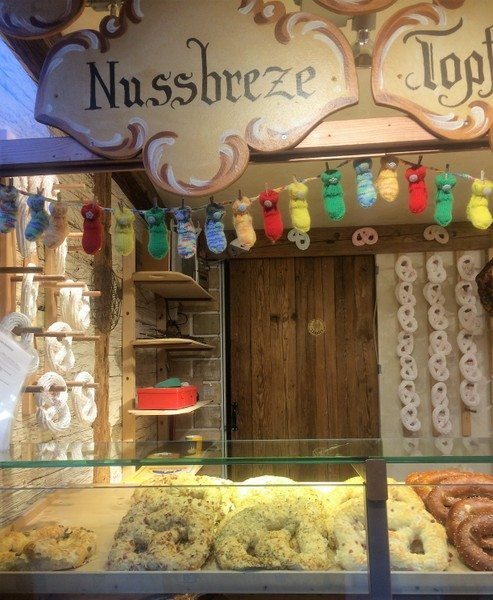 In their place Austrian favourites such as Wurst, raclet, pretzels, roasted chestnuts and of course Kaiserschmarrn, the traditional Austrian torn pancakes. 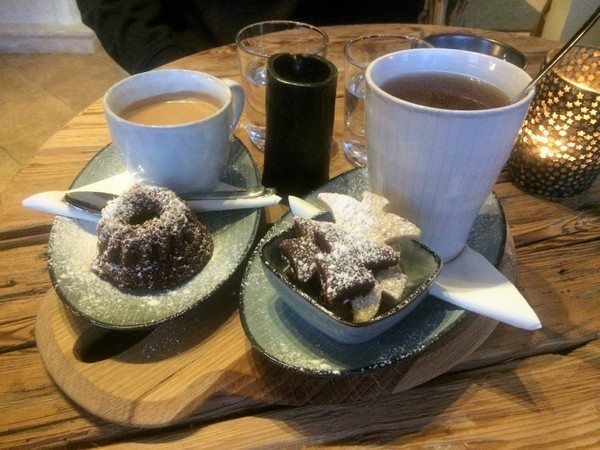 They are one of Austria’s and also our favourite desserts. The fluffy pancake is chopped into pieces whilst cooking and sprinkled with icing sugar. Of course no trip to Austria would be complete without tasting some so we both ordered a serve each. Michele had a special Wehinacht Kaiserschmarrn. Cooked with apple pieces, rum soaked raisins, and spices the Kaiserschmarrn were delicately delicious with lovely subtle flavours. At Christmas in every Austrian village and town are Glühwein stalls. The locals will brave any weather just to stand around chatting whilst drinking (hot mulled wine) Glühwein. Another local favourite is Orange Punsch. The hot wine is flavoured with spices and orange. I can’t say I’m a fan but Michele likes it. 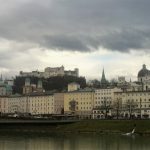 Salzburg, really is a wonderful place to visit at Christmas. 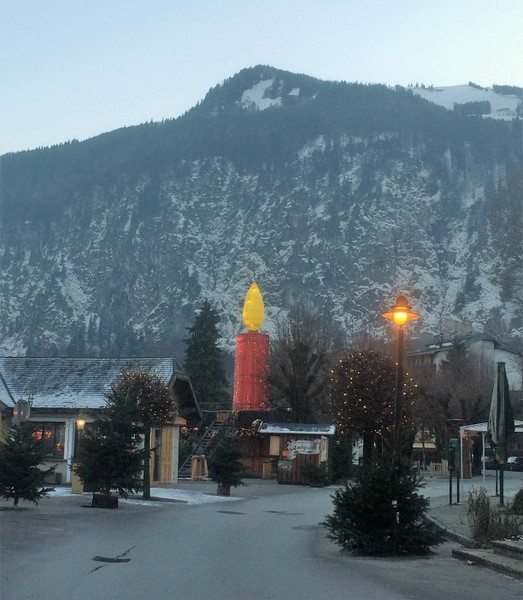 We must’ve had the worst timing when visiting the village of St Gilgen. 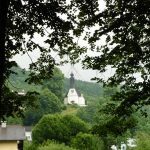 We visited the picturesque little village on Lake Wolfgansee a number of times and arrived out side of the market times. All was not lost as St Gilgen is a beautiful little village just to walk around and we did get to enjoy some of the local treats at a cafe.. Along with St Wolfgang and Strobl, the village of St Gilgen, Austria is famous for their Christmas and New Years Markets. 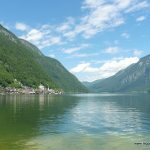 The drive up from Attersee was beautiful as it traced around the edge of Lake Attersee to the town of Unterach. 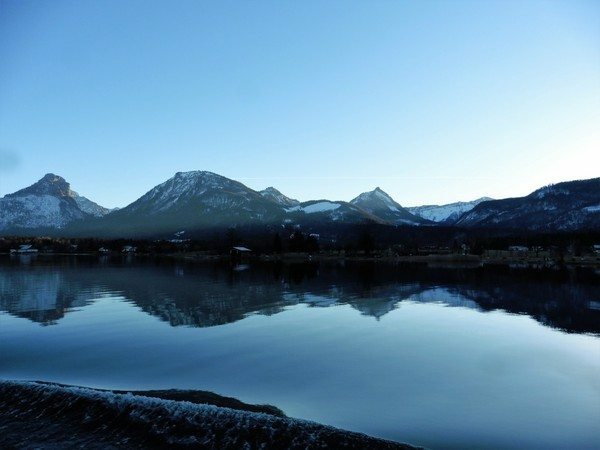 At Unterach it crossed between the two lakes and traced around Lake Mondsee to Oberbergau. From Oberbergau it wound up through the pass to St Gilgen. 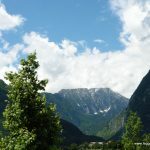 The hills that surround the village of St Gilgen were covered in snow and blocks of ice where piled up along the roadside where the snowplough had cleared the roads and footpaths. Around the central part of the village large chalets line the streets. In their windows glass advent candles lighting the windows. Market stalls line the streets of the central part of the village and also the area around the ferry wharf. Also at Christmas ice skating rinks pop up all over Austria and St Gilgen is no exception. Whilst the kids brave the cold on the ice mums make the most of the peace and quiet for a chat over a Glühwein. 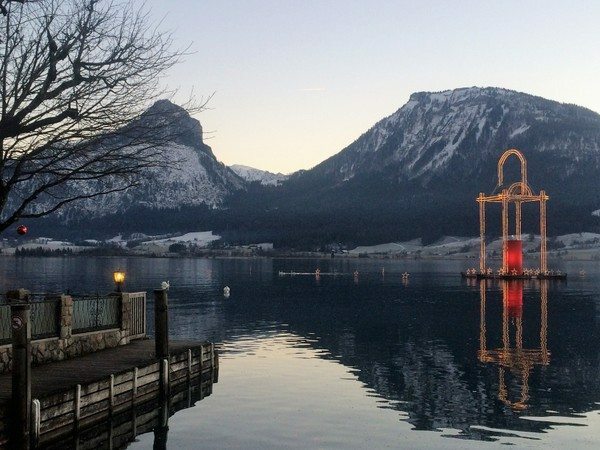 One of the local traditions during the Christmas/ New Year period is to catch the ferry on Wolfgangsee (Lake Wolfgang) to the Christmas markets in the villages of St Gilgen, St Wolfgang and Strobl. 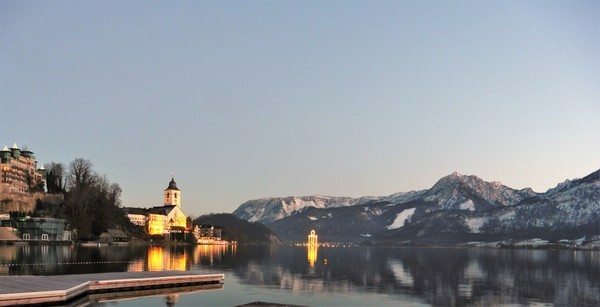 The cruise across the lake is really nice with outstanding views of snow covered mountains and quaint little Austrian villages. The atmosphere on the ferries is quite festive with chairs and tables set up and people relaxing drinking coffee, wine or beer. Arriving at Wolfgang the first thing we noticed was the Church of St Wolfgang and the massive Chalets. 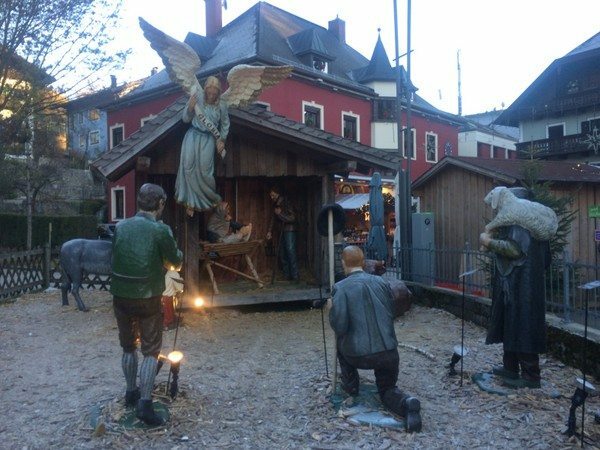 In the centre of St Wolfgang is a larger than life nativity scene. It features all different local characters dressed in traditional Austrian clothes plus of course a manger. Wandering through St Wolfgang is like stepping back in time with lots of chalets painted in renaissance style. Around the town market stalls sell all sorts of Christmas goodies and no market is complete without a Glüwein stand. 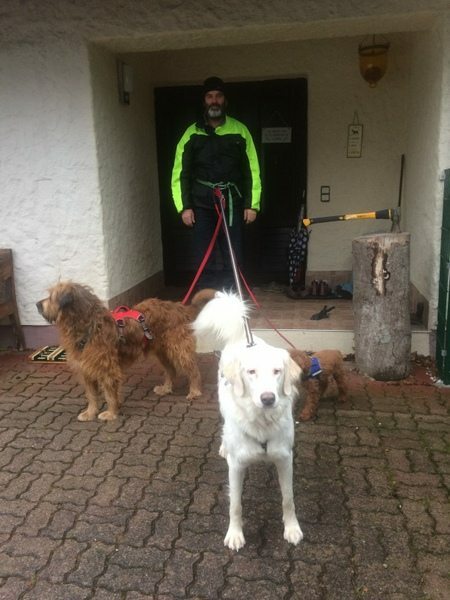 Our Austrian friend Karl, who now lives in Australia, told us we had to visit The White Horse Inn. 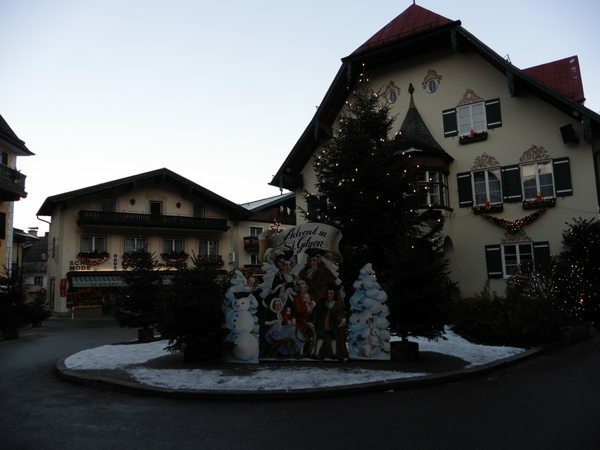 It’s probably the most famous inn in St Wolfgang and probably the largest. It was the setting for a play written in the late 1800’s. The story was about a head waiter trying to woo the widow who owned the guesthouse but spurning his advances. “The White Horse Inn” became a hit all over the world and in 1920’s it became a film. It’s been revived a number of times as each new generation discovers the comedy play. These days the White Horse Inn is a luxury spa hotel with fine dining and top quality accommodation. 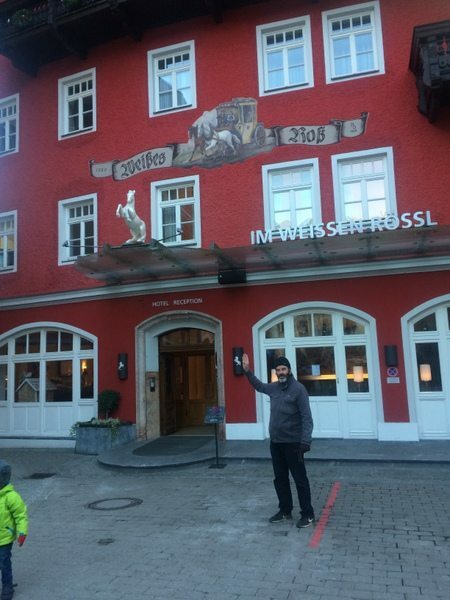 In St Wolfgang there are no shortage of Austrian style inns or kellers and we found a quaint one, Hubertuskeller, which had a roaring fire. It featured hunting trophies around the walls and booth style tables. 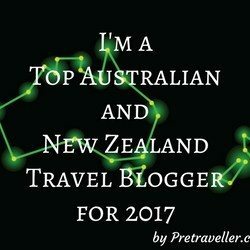 Of course we sat near the only other Australians in town and soon were chatting. They were from Foster on the central coast but were visiting family so had popped down to St Wolfgang for a visit. It was nice having a chat with someone from home. The meals were delicious and we enjoyed some Austrian favourites. We also discovered that to make good Glüwein a good wine as a base is one of the most important ingredients. The ferry across Wolfgangsee at night is quite magical with all the lights shimmering across the water. In the bay in front of St Wolfgang a large advent candle is lit up in reds and gold. Advent candles are an important part of Christmas in Austria. Each week of advent a new candle is lit until by the end of advent all four are burning. In this part of Austria red glass advent candles are placed in the windows of the houses. At night they are particularly charming, surrounded by a wreath of holly and topped with a golden flame. 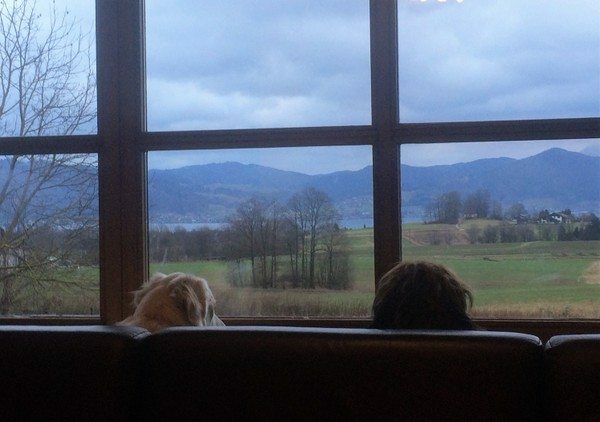 After a night out at the Silvester markets we headed back to Attersee. In the minutes leading up to midnight we watched the New Years celebrations from Graz. At twenty seconds to midnight the countdown to new year started. 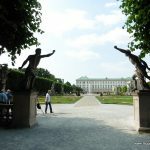 Whilst couples danced around the square in Vienna we waltzed around the lounge room. At midnight the fireworks around the lake started. From our vantage point high up at Stöttham we had views of the fireworks at all the different villages Attersee, Muhlbach, Obersbach and across the lake at Oberherhenfeld, and Wehregg. Along with the organised events all the locals were also letting off fireworks. It looked spectacular. After the celebrations in Vienna finished a black and white movie started. We were about to call it a night but something about the short film had us hooked. It turned out that just by blind luck we’d stumbled upon a tradition which is celebrated throughout the German speaking world every New Years Eve. Ask anyone in the English speaking world if they’ve ever heard of the British comedy skit “Dinner for One” and you’re likely to be met with a blank stare or a shrug. However in the German speaking world they’ll know all the punch lines. For us we’ll be tuning into German TV next year for the same procedure as last year when we watch “Dinner for One”. It’s been great spending the Christmas and New Year period in Austria. We were able to see the countryside in winter covered in snow. 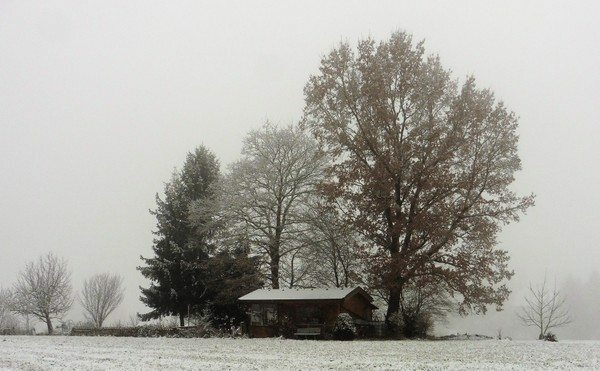 In the villages around Lake Attersee Christmas is quite special. 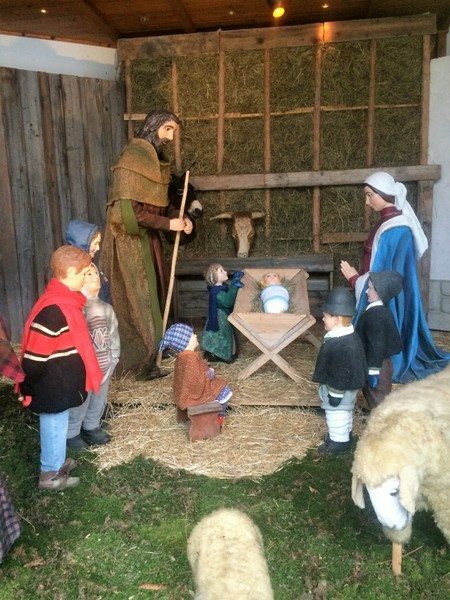 In Nuttsdorf a life-size nativity is erected featuring characters from the local area. All the characters are dressed in local Austrian outfits giving the nativity a real local feel. Around Attersee the local restaurants specialise in fresh seasonal and locally sourced foods. There’s even an old law which allows local farmers to sell their produce through restaurants on their properties. The local restaurants source their fish from the lake and venison from local hunters. 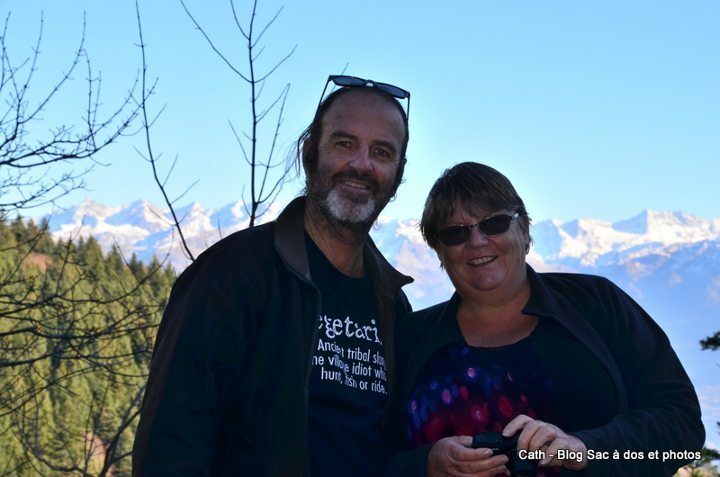 We even caught up with one of our friends and her boyfriend as they passed through Attersee. We had a great night out at a local restaurant catching up. It was also nice getting out in the countryside walking the dogs. Together we faced all sorts of weather, snow, sleet, hail and even sunshine. It’ll be a lasting memory of our time in Austria. Sadly just after New Year it was time to leave Austria and head back to Italy. Craig and Erica’s returned and we heard all about their trip to Madagascar (and made us want to visit). They had awesome photos and amazing stories about Lemurs. Tomorrow we head back to Verona to pick up the bike and start again.